Local developer Angelo Ingrassia met with about 20 residents from the Highland Park area Monday to tell them that he is the new buyer of Colgate Rochester Crozer Divinity School's campus. He hasn't closed on the property yet, and he doesn't have a design, but he is planning for some kind of residential development. Ingrassia said he was there to listen to residents and get their ideas about what they would like to see developed on the property, such as single family homes, town homes, condominiums, or apartments. The residents reminded him that much of the 24-acre property near Highland Park has been designated a city landmark, which means that new construction or exterior changes to the existing historic buildings would have to be approved by the city. 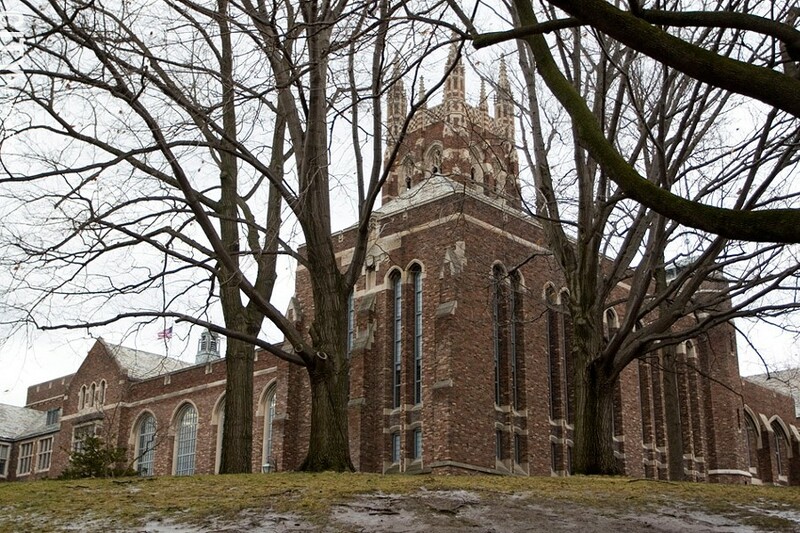 Ingrassia said he was aware of the landmark status and that he is interested in preserving the buildings, particularly the chapel and the library, though they may be converted to offices. Ingrassia said he was not sure about the future of the two dormitories and the parking area at the north end of the campus. That could be the area that he develops first, he said. While some of the residents said that they would prefer to see much of the south lawn of the campus — the hillside that extends down to Highland Avenue — remain undeveloped, Ingrassia said that's unlikely. That portion of the site, though not all of it, may need to be developed to make the project financially feasible, he said. "Buying the property without developing it is not possible," he said. "But I'm hoping we can work together and try and find a compromise." Ingrassia told residents that he was trying to imagine what the residential development would have looked like in terms of architectural style if it had been built at the same time as the original buildings. He would like to use a similar style that complements the architecture and character of what's already built, he said. The sale of the property is not complete, but Ingrassia said the contract is not contingent on him finding financing. He declined to say how long it would take to close the sale, what other contingencies there may be, or how much he is paying for the site. Top Capital attempted to purchase the property, but the agreement fell apart earlier this year. Ingrassia is also the owner of the former Medley Center, which he and his partners are redeveloping into Skyview on the Ridge. The concept for that project distances itself from the dead mall's retail past and is instead centered on a mix of other commercial uses, such as call centers, office space, and a community center for the Town of Irondequoit.